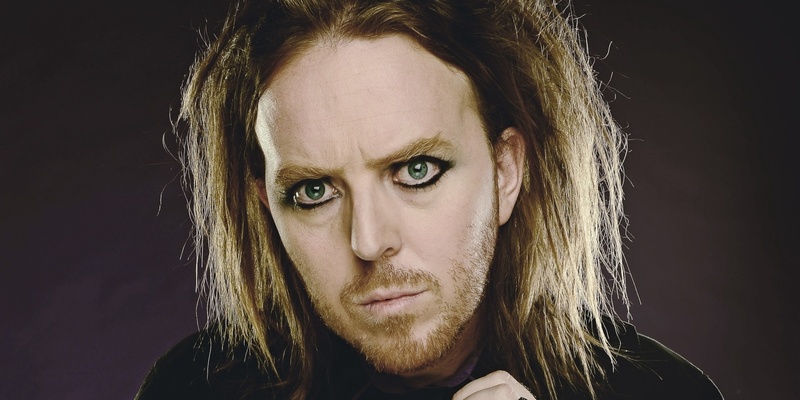 Australian comedian, composer, actor, musician and all-round talented artist Tim Minchin is, of course, most renowned for his flawless eyeliner. Hailing from Perth, Australia, Minchin first appeared on the comedy circuit with his solo show Navel – Cerebral Melodies with Umbilical Chords in 2003. An adept piano player himself, Minchin appeared in the show with a bass player and a drummer, and has since gone on to appear with several bands and even symphony orchestras as he performs his stand-up. It is Minchin’s musical genius that marks him out from the rest of the crowd. One of the trademark features of his satirical style of comedy are his famous beat poems, which capture his dry, witty humour alongside a fitting melody, played either by Minchin himself on piano, or by a band or orchestra. A popular example of these is Storm: his 2008 poem about a free-thinking, homeopathy-condoning woman, based on events from a real dinner party. Storm quickly became a hit on Minchin’s two-year tour, Ready for This?, prompting an animated movie version in 2011, which has since become a YouTube hit and garnered over four million views, and the graphic novel that followed in 2014. Minchin’s success does not just lie in comedy; he has also achieved great things in the theatre world as well. As an actor, he has appeared in several prominent roles, most recently as Judas in the 2012/13 arena production of Jesus Christ Superstar. But it is as a composer and a lyricist that Minchin has found incredible success: in 2010 he wrote the music and lyrics for the Royal Shakespeare Company’s global smash hit Matilda the Musical, which has since played in the West End and on Broadway, as well as touring Australia and the US. The critically acclaimed musical won 7 Olivier Awards, including Best Musical, and 4 Tony Awards, along with many other awards. Minchin soon found his next project, having recently been the composer-lyricist for his newest musical, an adaptation of the 1993 film Groundhog Day, at the Old Vic in London, which is set to transfer to New York this year. It is undoubtedly Minchin’s quirks that make him stand out in the comedy scene, with his extravagant looks and his critical observations on the world around him. However, I find it is also these quirks which have found him success elsewhere. Certainly in Matilda, which has become a world-wide phenomenon, the music brings across the wackiness of Roald Dahl’s novel whilst remaining equally heartfelt and engaging, something which would have made Dahl very happy. In a world which often feels full of the ordinary, I, for one, am grateful to Tim Minchin for showing us that weird is wonderful.